Peddling fake facts was John Hodgman’s stock in trade on The Daily Show with Jon Stewart and in his three bestselling books. 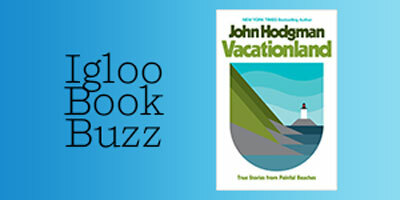 That all changed with the release of VACATIONLAND: True Stories from Painful Beaches, published by Viking on October 24 and featured as this week’s Igloo Book Buzz selection. 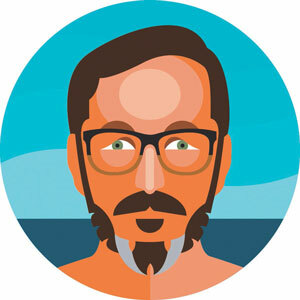 Hodgman writes about his journeys, navigating three distinct wildernesses: one, rural Western Massachusetts where he spent much of his youth; two, coastal Maine, home to the most painful beaches on earth; lastly, the metaphoric wildernesses of middle age. The book’s title VACATIONLAND refers to the nickname for Maine, but you also focus many of the chapters on the “vacationland” of your youth (Western Massachusetts) in addition to your wife’s (Maine), where you now spend much of your time. Do you think having those escapes can be formative in both childhood and adulthood? How has it shaped you throughout your life? You describe Maine as a hellish place, but seem to have a deep fondness for it. What is it about the state that can cause such conflicting feelings?